Robinson Construction (Sussex) Ltd - Builder, Carpenter based in Portslade, East Sussex. 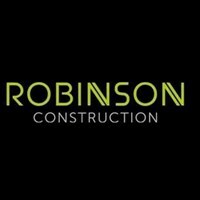 Robinson Construction is a company based in Brighton, specialising in home extensions, building renovations, loft conversions and new builds, primarily commercial works and private customers. Our projects are usually individually tailored schemes that sympathetically enhance and enlarge an existing dwelling. We strive to provide a superior quality and service to all of our customers, constantly liaising with clients to achieve as close to their requirements as possible. Work undertaken include building, general plumbing, roofing, carpentry, tiling, and decorating, where required. If you would like more information about our building and property maintenance work.